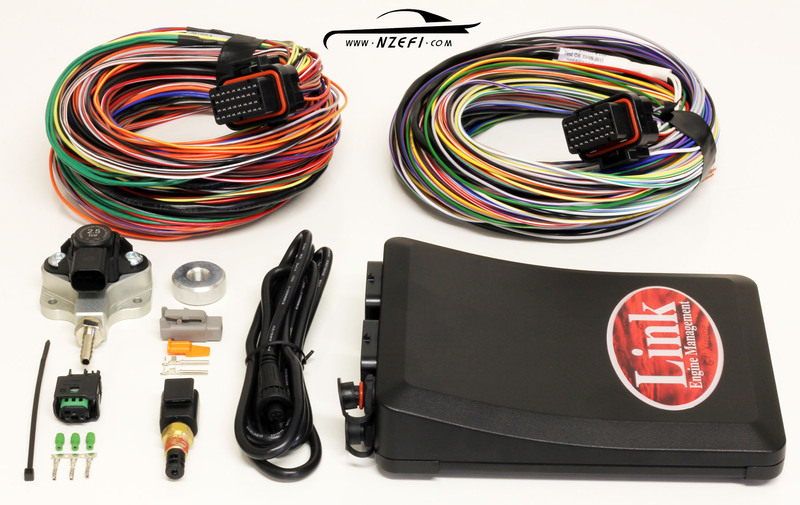 For applications requiring a wire-in ECU, NZEFI saves you money and takes out the guess work with these Link G4+ engine management packages. This G4+ Xtreme Black package is particularly suited to 8 cylinder naturally aspirated engines running a single electronic throttle. 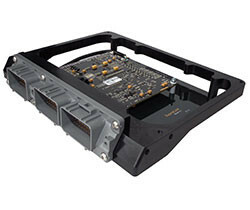 This package also suits many turbocharged applications with either the addition of a boost control solenoid, or for applications not requiring electronic boost control through the ECU. Such common applications include Toyota 1UZ-FE VVTi, 2UZ-FE VVTi, 3UZ-FE VVTi, 3UR-FE VVTi, Nissan VK45DE, VK56DE, Chev LS2, LS3, L98, LS7 Ford Coyote 5.0 V8 VVT, Dodge Hemi 6.1L, etc. 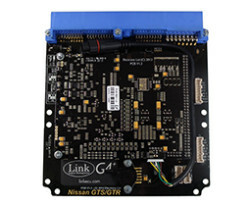 This package is also suitable for using with many other 8 cylinder engines that may not necessarily require electronic throttle control, but do require other features that the G4+ Xtreme Black offers such as ‘peak and hold’ injector drives or traction control.